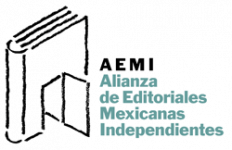 The International Alliance of independent publishers expresses –in these days of celebration of cultural diversity, ideas and texts flows– its solidarity with the Mexicans. The Association of Mexican independent publishers (AEMI), member of the Alliance, proposes to collect Latin-American books to offer especially to children and young Mexicans –so that their imaginations do not focus on this disaster, and that stories and words coming from abroad can help them in these painful moments. This is also bibliodiversity : be careful about the surrounding world, keep awake and conscious, in solidarity.